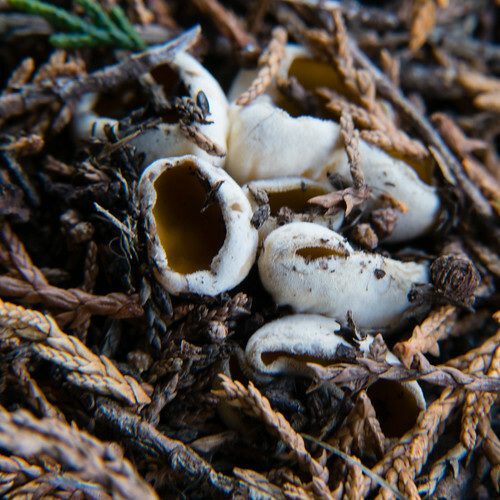 Sowerbyella radiculata fungi, under a leylandii hedge. A rare species which grows in association with conifers. Tt be really certain of identification, a microscope is needed. Thanks to @lukaslarge for recognising them.